The fundamental purpose of any Governing Body must be to help the school provide the best possible education for all its pupils’ (Department for Education). The Governors take a keen interest in GPPS life attending school events such as Speech Day, the Carol Service, the infants’ Nativity play and Sports Day as well as supporting PTA events. 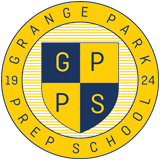 Grange Park Prep School is part of the Inspired Learning Group of independent preparatory schools and nurseries https://www.inspiredlearninggroup.co.uk. To deliver inspired learning through the individual personal attention and understanding which nurtures a child’s talents, addresses its fears and helps it to achieve its full potential. Our class sizes, our ambition to tailor the learning process to each child’s personality, our well documented exam success, and the impressive eventual university destinations of many of our pupils show that an independent ILG prep school provides an outstanding first step in a child’s education. ILG schools inspire each individual pupil to achieve their very best, socially, emotionally and academically.